There was no real defining moment when I decided I was a diehard espresso drinker. It sort of crept up on me. 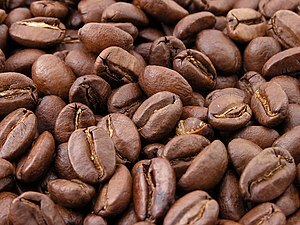 When I went away to school, I started drinking coffee to stay awake during the many “all-nighters.” I liked it, but drinking coffee was for the caffeine jolt and not much more. However, there was a coffee shop in the small university town. It had a 5 pound lab coffee roaster that filled the room with the most delicious fume. My then wife-to-be and I spent countless hours there just hanging out. Perhaps that’s where I picked up my penchant for coffee, roasting, and especially espresso. Who knows? It doesn’t matter now, and I definitely have the bug for good coffee. There are some parts of this site that can veer into propellerhead territory, but the goal is to help you get the most enjoyment out of preparing and drinking coffee no matter your level of expertise and interest. I’d like to hear from you. Let me know what you think of our content and let me know what you’d like to see next on the site. Thank you so much for the walk thru !!!!!!! I pulled a good shot on the second try after reading. Enjoy reading your blog and have learned a lot about espresso. I am a newbie and just acquired a La Pavoni and Rocky grinder recently. There has been steady progress but very slowly. One question has been in my mind since day one about the operation of the La Pavoni. What is the difference between pulling for one cup and two cups relative to the amount of water in the head? My understanding is that when raise the lever all the way and keep in up, the head is filled with water and the pressure in the boiler and the head is the same (1 bar). Is that correct? Should there be more water in the head for 1 cup (less ground in the basket)? When I start pulling and with the lever just about 30 degrees lower, the head is isolated from the boiler and I need to have about 7 to 9 bars to force the water through. Am I correct? You seem to know quite a bit about La Pavoni espresso machines; I’m having a problem with mine and was wondering if you had any advice. I have a machine that is about 20 years old passed down from my father to me. I’ve descaled the machine several times recently because I thought the taste was somewhat off, and it seems like there are now little shiny bits in the water or coffee when I pull a shot. Is it possible that the inside of the boiler is now bad and the metal/ chrome is corroding? How long do one of these machines last for?